To understand what a quitclaim deed is, it’s useful first to understand general warranty deeds. A general warranty deed is the most common type of deed in real estate sales transactions. It is used to warrant the good state of the title. This means it guarantees that the person transferring the title is the owner of the property and has the right to transfer the property to you. With a general warranty deed, there is no one outside of the grantor (the person selling the property to you) who can claim the property as theirs. It also guarantees that there are no debts or liensagainst the property except those that have already been made clear to the buyer. In other words, the deed provides the buyer with protection, or warranty, against those things. By contrast, a quitclaim deed contains no warranties. All it does is transfer whatever interest the grantor has in the property over to the other person. There is no guarantee against other owners having the ability to claim the property. And there’s no protection against debts and liens on the property. It’s even possible that the grantor does not actually own the property. In general, quitclaims are useful in situations where you want to transfer ownership (or someone’s claim to a property) without exchanging any money. Because of the lack of warranty, you should usually only use a quitclaim deed with someone who you know and trust. This often applies in family matters. For example, a parent who is moving to a retirement community may quitclaim his or her house to a child. This way the child gets the rights to the property. Presumably, the child already understands the condition of the house. Other common situations for a quitclaim deed include when someone gets married or divorced. In those cases, a homeowner wants to add or remove a spouse to the title. As another example, let’s say you are buying a home and an ex-spouse of the grantor still has his or her name on the home title, even though only the grantor cares for the the home. This is a case where you might ask the ex-spouse to sign a quitclaim to remove her the title. You may also use a quitclaim deed to clear a cloud on the title. This is a simple defect like an issue with wording or a misspelling. Even if the grantor assumes the grantee will take over mortgage payments, the grantor has no legal recourse if the grantee stops making payments. If you need to transfer a mortgage and you feel that a quitclaim loan is the best deed option, create a legal agreement stating that the grantee will take over the payments. Quitclaim deeds are relatively simple documents and you can create your own easily. There are free, basic forms available online. That said, a deed is a legal document. 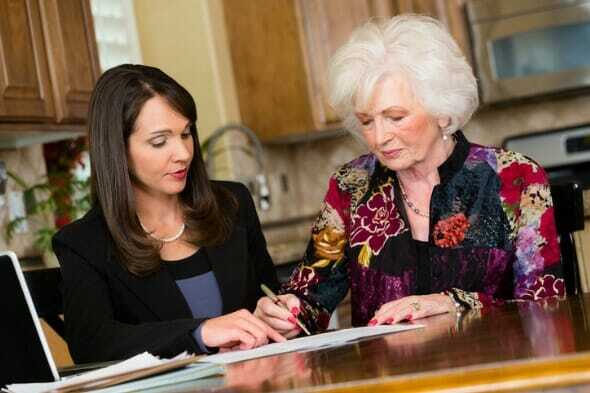 It is best to consult with an attorney who can draft one or at least review your deed before signing. Any form you use should state that it is a quitclaim deed. Include the grantor’s name, the grantee’s name and the address of the property that the grantor is transferring. The deed must state that the grantor is quitting any interest in the property and transferring that interest to the grantee. Both parties then need to sign the deed with a notary public. Some states require a second witness. To transfer the property officially , the grantee must take the signed deed to the title company, who issues a new property title with the grantor’s name changed to the grantee’s name. Then the grantee must bring the new title to the county clerk to record the transfer. A quitclaim deed is a way to transfer property from one person (the grantor) to another. With a quitclaim deed, the person issuing the deed gives up their claim on the property, whatever that claim may be. However, there are no guarantees to protect the buyer in case there are liens, debts or other issues with the property title. It’s best to accept a quitclaim deed only from someone you know and trust. This often means that family members use quitclaims. A quitclaim is also a useful way to correct mistakes on a title or to change the names on a title without exchanging any money. An important note is that quitclaim deeds do not affect your mortgage payments. The grantor is still on the hook for any mortgage agreement.